Adafruit is now a phone company Or, well, we’ve sold DIY cell phones for awhile now but you’ve never been able to buy your FONA and a SIM Card all in one place. Now, with these GSM Sim Cards from Ting, you can turn your FONA project into a working cell phone with just your maker skills and a visit to their website. Ting’s an alternative cell phone provider who thinks the experience at companies like Verizon or T-Mobile are too impersonal and too complicated. Ting works with almost any unlocked GSM device (and definitely works with all of our FONAs) and is in ‘open beta’ so you can just buy a SIM card, activate it, and start. Ting works on the T-Mobile GSM network, which has no plans to shut down (AT&T’s GSM network «may» sunset in 2017) so you can use it for many years with your IoT project or GSM phone. Another good reason to go with Ting is rather than pay for a plan upfront, you simply pay for what you use. So let’s say you have your FONA set up so that your mailbox will call you every time you get mail — but you don’t get any mail for an entire month — you won’t be charged for the calls you’re not making. We think it’s the perfect provider for IoT, DIY cellular projects and a great alternative to standard carriers. Right now these SIM cards are only for sale to USA customer addresses. These SIM cards are completely unactivated, you need to activate it with a credit card once you receive it (but its super easy, we activated ours in about 4 minutes). No extra service or ‘minutes’ come with the SIM — once activated you will be billed for the voice/data/text messages you send plus the device, at the very reasonable rates All billing goes through Ting, Adafruit is only selling the SIM card itself! These cards are one-number use only so once your phone number’s associated with it, you can’t change it. They are relatively inexpensive, however, so aren’t a bad option if you want a multitude of phone numbers. 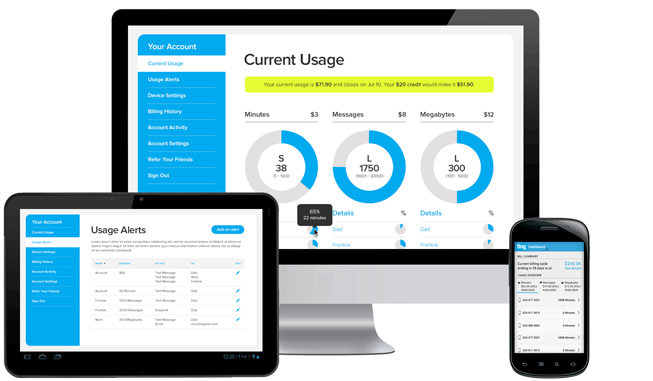 With the Ting online account dashboard and the official Ting app, they give you the tools you need to take complete control of your account, your usage and ultimately, your bill. ​Dimensions of SIM Card: 25mm x 15mm / 1.0″ x 0.6″ You can snap the card apart into standard, mini, micro and nano SIM sizes. Click here for more information on the Ting SIM Card. Корпус для Raspberry Pi B+/2B чёрный	384 грн. Stainless Medium Conductive Thread — 3 ply — 18 meter/60 ft	322 грн. TIP120 Power Darlington Transistors — 3 pack	102 грн.